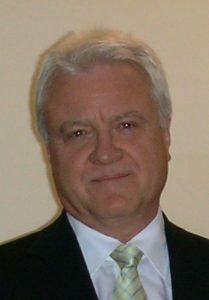 Netistix was founded in 2002 by me, Steve Barker. I spent nearly 20 years working in the City of London for software houses, starting as a computer programmer and ending as Customer Services Director looking after a team of people and 600 customers worldwide. At Netistix, we always strive to achieve our customers’ goals; simply providing a web presence with a “brochure” site, achieving a high page ranking on Google or developing a more complex bespoke website. Everybody has a website now, so these days we focus on website improvement and modernisation, Search Engine Optimisation (everybody wants to be on page 1) and Google Ads campaigns. We always work very closely with our customers continually fine tuning the development until we get it right and everybody is happy! The design/development process begins with the gathering of information about your company to find out the main objectives of your new website. We will then use this information to rapidly create a mock-up of your new website for you to approve. We will keep doing this until you are happy and you “sign off” the design. At all times during the development we will closely manage the development phases and milestones to ensure the project is completed on time and to budget. During the development we will ask you to provide key words and phrases that potential visitors might enter into the search engines like Google to find a product or service like yours and these will be used to optimise your site and marketing.